Hypnosis Denver is Chantix Really Worth The Risk? Is Chantix Really Worth The Risk? The U.S. Food and Drug Administration today announced that it is requiring manufacturers to put a Boxed Warning on the prescribing information for the smoking cessation drugs Chantix (varenicline) and Zyban (bupropion). The warning will highlight the risk of serious mental health events including changes in behavior, depressed mood, hostility, and suicide, suicidal and homicidal thoughts when taking these drugs. “The risk of serious adverse events while taking these products must be weighed against the significant health benefits of quitting smoking,” said Janet Woodcock, M.D., director, the FDA’s Center for Drug Evaluation and Research. Woodcock said health care professionals who prescribe Chantix and Zyban should monitor their patients for any unusual changes in mood or behavior after starting these drugs. She added that patients should immediately contact their health care professional if they experience such changes. 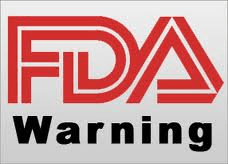 The FDA’s request for the additional warnings is based on a review of reports submitted to the agency’s Adverse Event Reporting System since the time the products were marketed and on an analysis of information from clinical trials and scientific literature. The analyses revealed that some who have taken Chantix and Zyban have reported experiencing unusual changes in behavior, become depressed, or had their depression worsen, and had thoughts of homicide, suicide or dying. In many cases, the problems began shortly after starting the medication and ended when the medication was stopped. 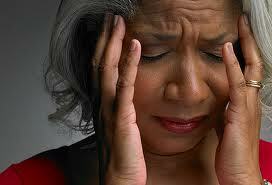 However, some people continued to have symptoms after stopping the medication. Also, in a few cases, the problems began after the medication was stopped. In addition to the Boxed Warning, the FDA also is requesting more information in the Warnings section of the prescribing information and updated information in the Medication Guide for patients that further discuss the risk of mental health events when using these products. Manufacturers also will be required to conduct a clinical trial to determine how often serious neuropsychiatric symptoms occur in patients using various smoking cessation therapies, including patients who currently have psychiatric disorders. The FDA’s review of adverse events for patients using nicotine patches did not identify a clear link between those medications and suicidal events. 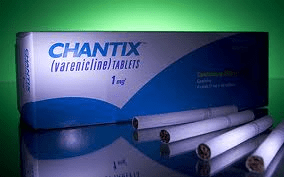 Chantix is manufactured by New York-based Pfizer Inc. Zyban is manufactured by GlaxoSmithKline, Brentford, Middlesex, United Kingdom. Isn’t it time to get the support you need… because you know that quitting by yourself does not work and Chantix is not worth the risk!